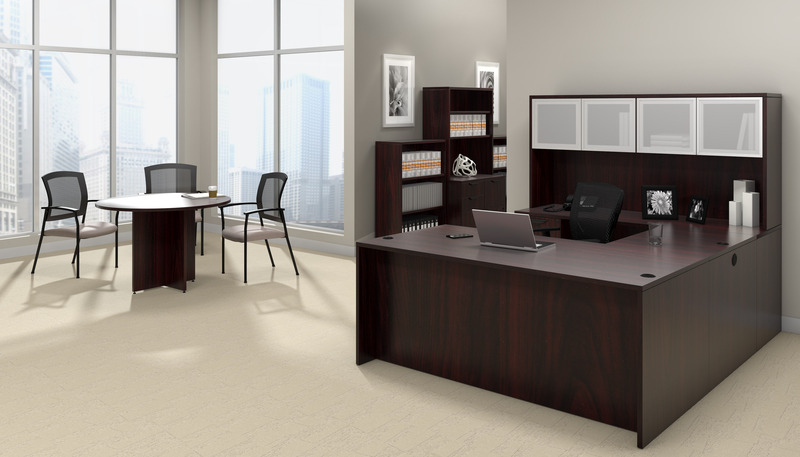 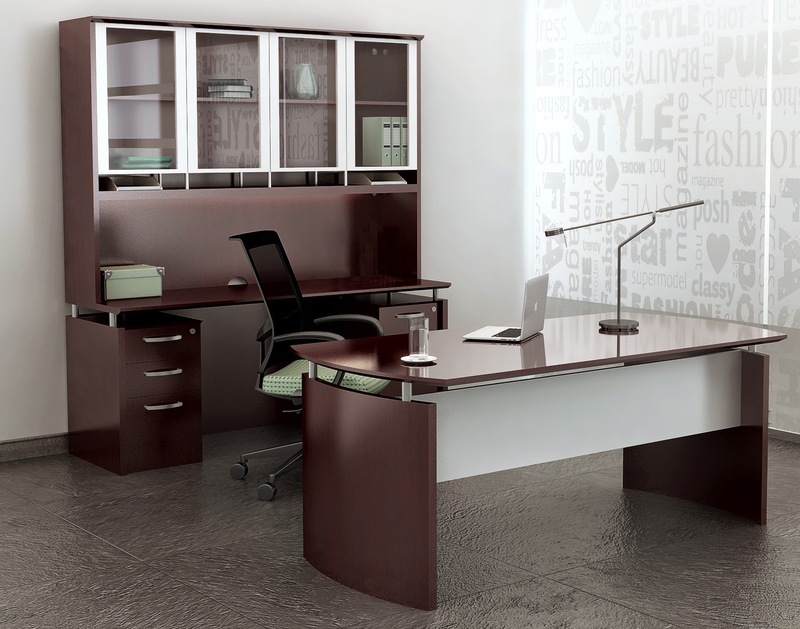 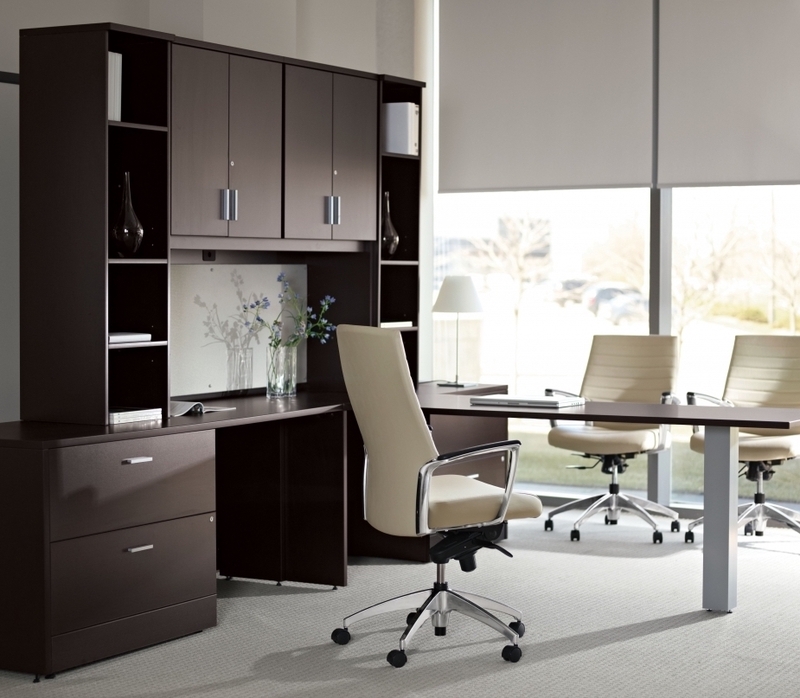 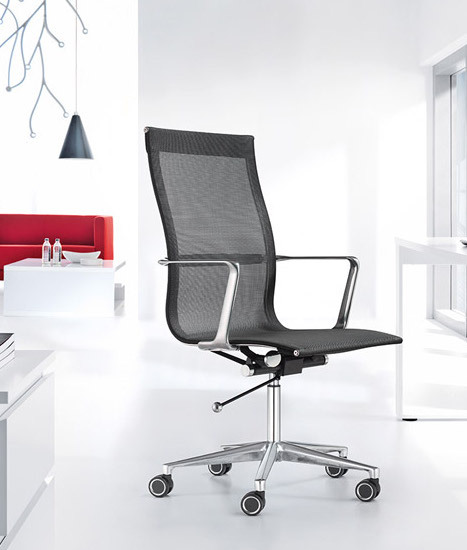 Create an elegant executive office interior with this Sierra Cherry finished Mayline Napoli furniture suite. 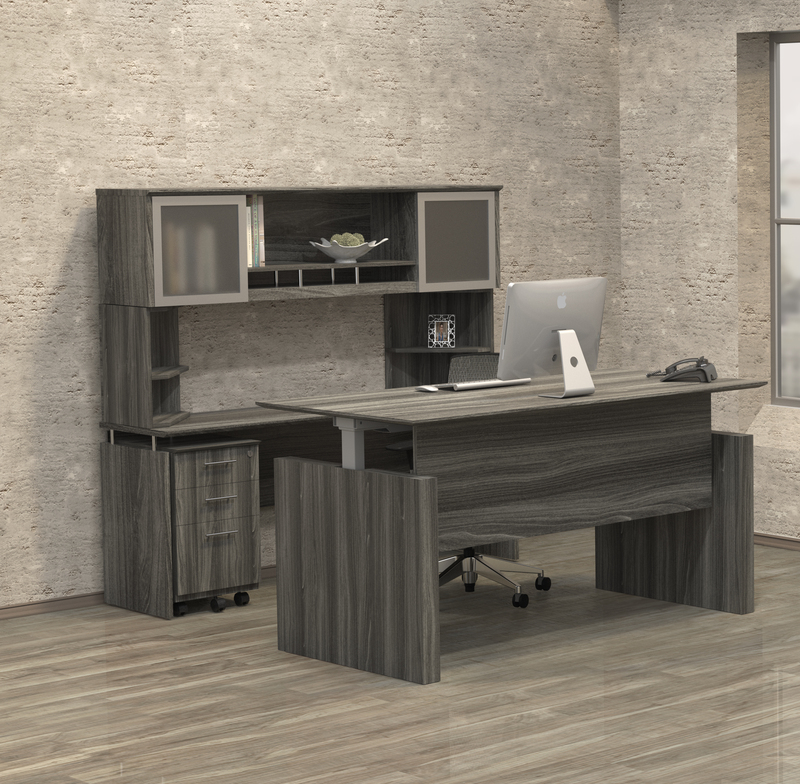 The NT37 model Napoli package includes a 63" wide front desk with silver modesty panel that perfectly pairs with a knee space credenza and glass accented hutch. 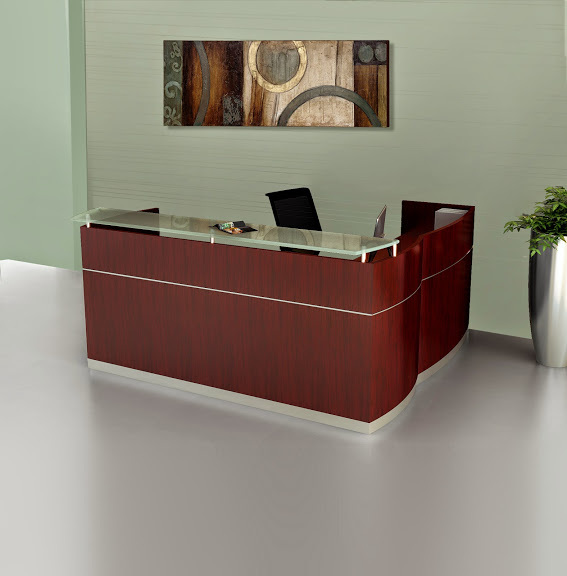 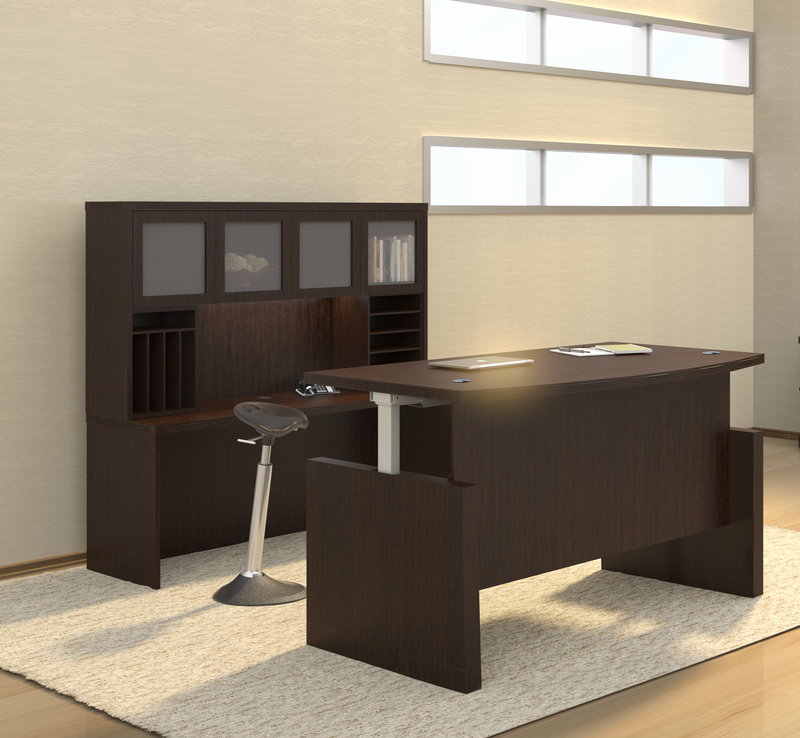 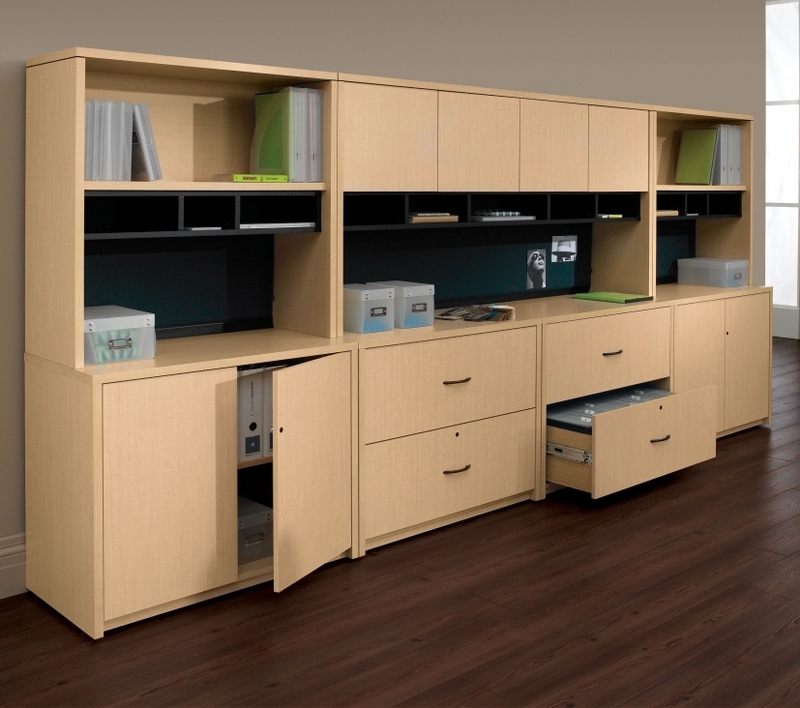 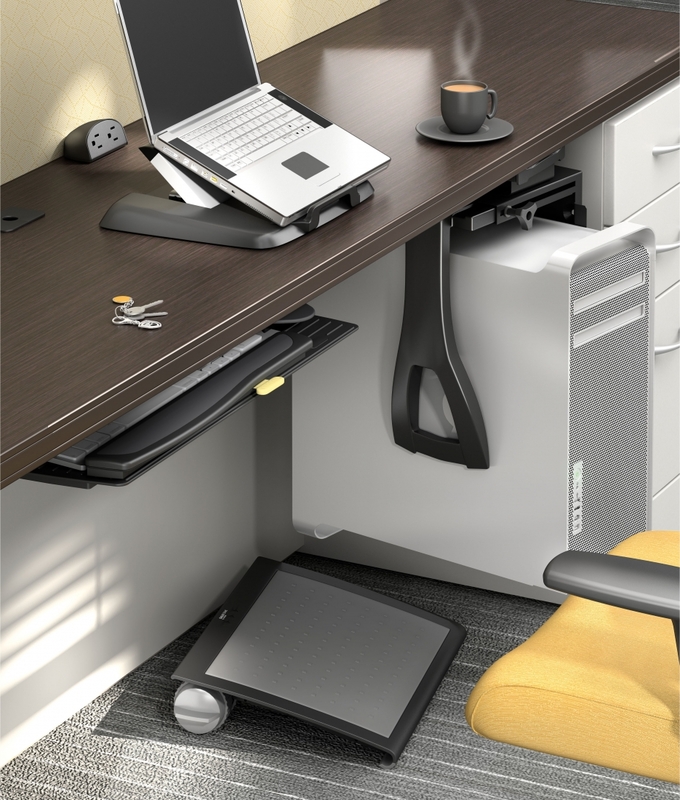 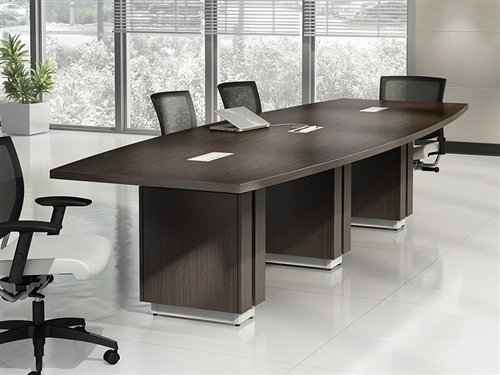 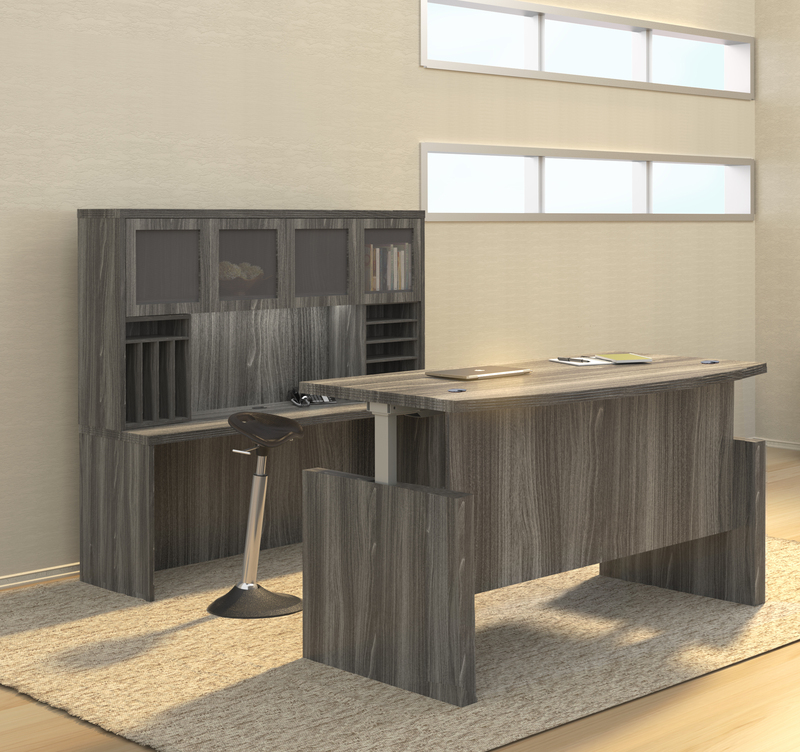 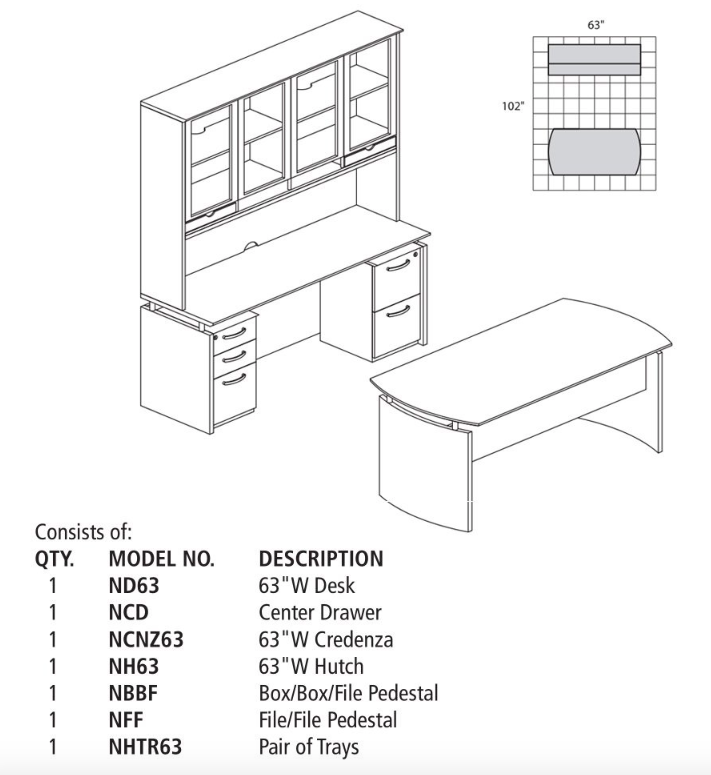 This popular executive desk configuration is also available in 2 additional finish options.